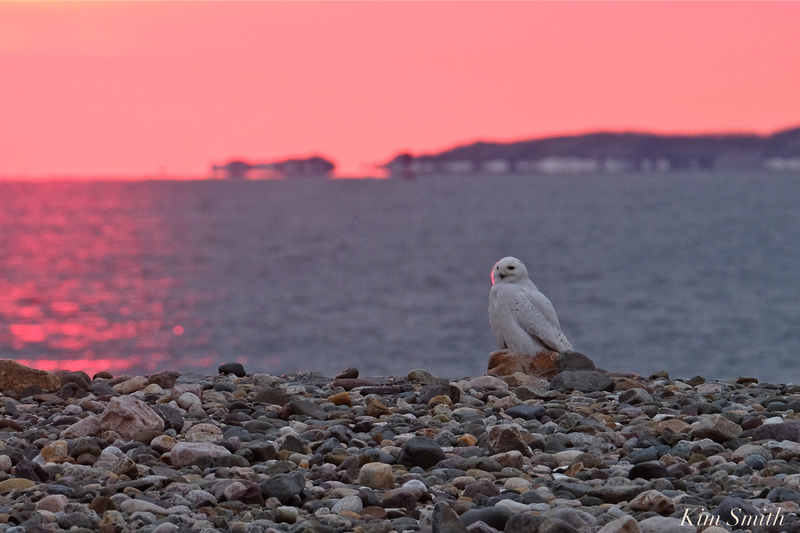 When one Snowy Owl boy left his perch and flew within several feet of a second Snowy stationed further down the beach I wasn’t sure what to expect, especially after witnessing several territorial battles between Hedwig and Bubo last winter, as well as a Snowy dispute between a male and female at Crane Beach. These two behaved as if they were expecting a visit from their best bud. After landing next to the stationary one, the active one immediately began to eat seaweed. This went on for several minutes. 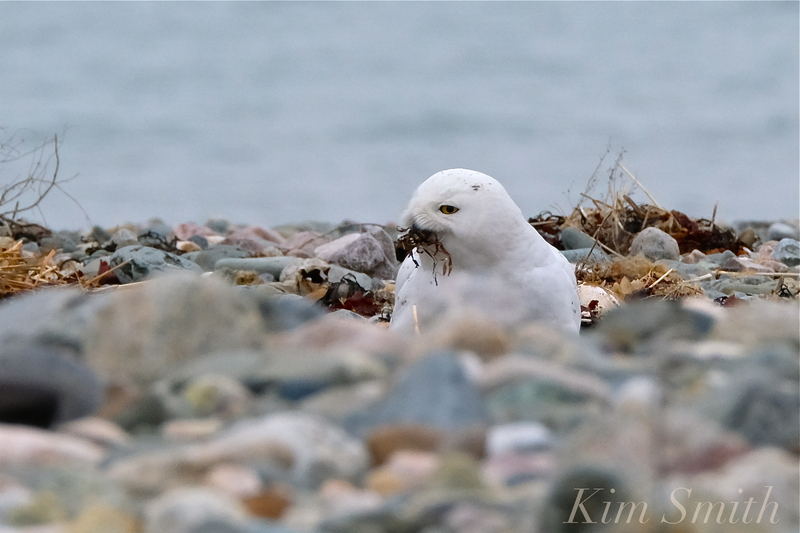 This entry was posted in Birds, Birds of New England, Cape Ann Wildlife, Snowy Owls and tagged aerial battle, beach, Beautiful Birds of Cape Ann, Beautiful Birds of New England, besties, Bubo, Bubo scandiacus, hedwig, Palentines, Snowy Owl, Snowy Owl eating seaweed on March 4, 2019 by Kim Smith.